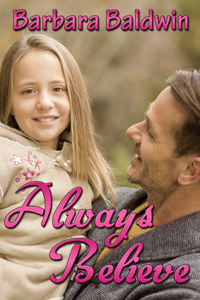 Our very own town of Snow is featured in Barbara's holiday story, "Always Believe." ALWAYS BELIEVE -- Emma doesn’t believe in the enchantment of Christmas, but then she and her dad move to the town of Snow, where even the stores have holiday names. What is she supposed to think when her new friend pulls her into the magic of the holiday by insisting he knows the location of Santa’s workshop?